I am a serial blender killer. I don’t know what I do to kill them, but after a few months in my care, they tend to die. When I found an incredible deal on a blender that is rumored to be “just like a Vitamix” (but at a tiny fraction of the cost), I just had to bring it home with me. I told her not to listen to any rumors the other kitchen appliances may try to spread and promised to take good care of her. This morning, my new blendy friend rewarded me with this Creamy Mint Matcha Shake that’s a snap to make. I have high hopes for this blender, which I picked up at a local Aldi store for half price. Of course, “high hopes” have let me down before. Over a 2 years later, still going strong. I love this blender!! Keep reading to the end of the post to see a side by side comparison with a Vitamix. There was the old, vintage blender my mom got for a wedding gift that she passed down to me. Vintage is better, right? I mean, they make everything out of plastic these days so a blender made out of real glass and metal ought to last forever (you’d think…). Not in my kitchen. It started smoking one day and that was that. And I probably shouldn’t even waste your time telling you about the $10 after-the-holidays Walmart special. You can guess how that ended, I’m sure. Whatever the fate may be of this new blender in my Kitchen of Small Appliance Horrors, it’s worth the risk to make this Creamy Mint Matcha Shake. 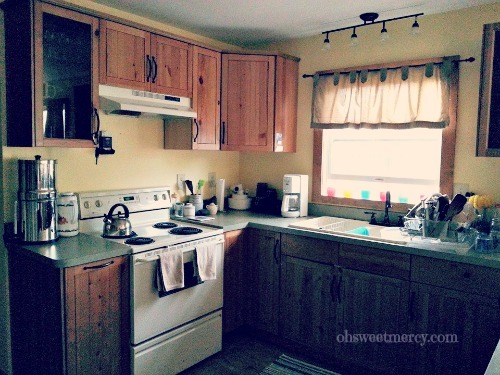 It doesn’t look like a vicious, torturous appliance-wrecking place does it? Oh, but it is. A creamy mint matcha shake in February? 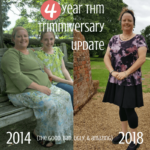 After being basically blenderless for most of my Trim Healthy Mama journey, I don’t relegate shakes and other icy blender treats to the summer months. Shakes and ice cream any time of year are completely appropriate! Briana Thomas is famous for her ice cream recipes and I plan to try them as soon as possible, because you can make ice cream in this blender! 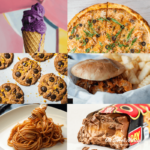 Losing weight while eating ice cream and shakes? Is it really possible? Yes it is! 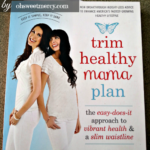 Order your copy of the new, revised version of the Trim Healthy Mama Plan here, from my affiliate, to learn the secret to a trim, healthy waistline and food freedom. Matcha is delicious, delightfully green, and good for you! I like to use Midori Spring Ceremonial Grade Matcha. Read my review here to learn about the wonderful health benefits of matcha, including boosting your metabolism and mental alertness. Let’s make a Creamy Mint Matcha Shake! 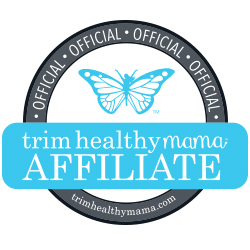 For Trim Healthy Mamas, this shake can be made either S or FP (Fuel Pull) to suit your needs. FP Version has 4.5 g fat, 5.75 g carbs and 15.75 g protein. 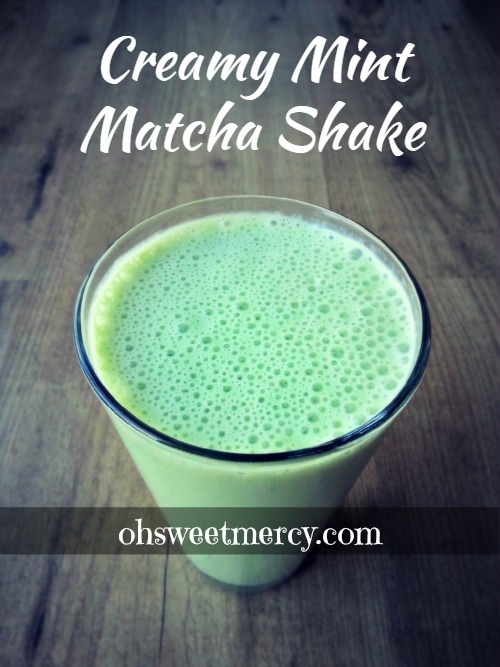 This easy, healthy, creamy shake includes the metabolism and brain boosting benefits of matcha tea. Make it to suit THM S or FP, your choice! 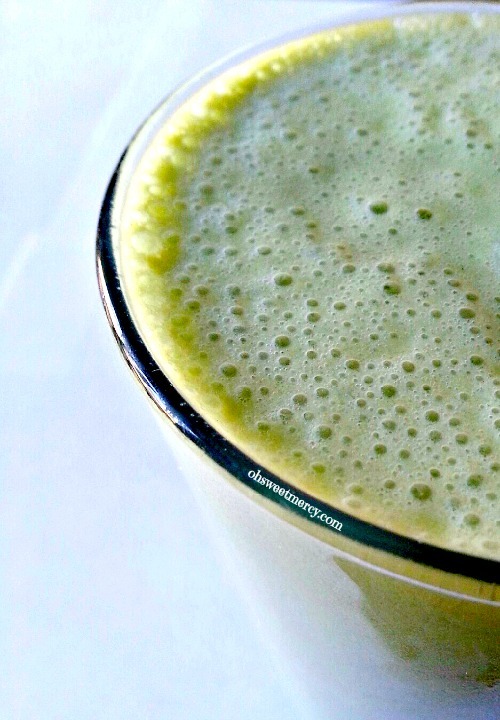 Be Sure to Pin This Creamy Mint Matcha Shake to Your Favorite Pinterest Boards! 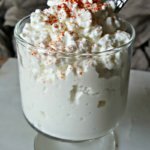 How does the Ambiano or the Vitamix compare to the Blendtec?